Welcome to Mark Meader with Perl Mortgage – a top recommendation of many Twin Cities realtors, financial planners, and thousands of past customers. If you’ve been referred to this site by one of these people, it’s because they want you to have the best options available – at very competitive rates and costs! With Mark Meader with Perl Mortgage, we want everyone to experience the American dream of home ownership. Whether you are a first time homebuyer needing down payment assistance or a move-up buyer looking for that ultimate dream home, we can help. This year marks my 35h year in mortgage lending. Over that time I have built a team that ensures a smooth transaction resulting in a successful closing. I have had the opportunity of financing more than 10,000 families and lent out more that $1.5 billion of mortgage loans – and I look forward to helping you too! You have a lot riding on your lender. Choose one with mortgage experience you can count on. Contact us today for a free consultation at 651-653-7667. Start the process now with our secure online loan application. 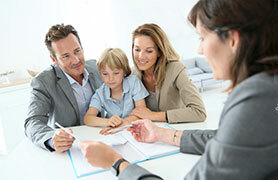 Don’t wait to begin the mortgage process with an experienced lender you can count on. Start the application process today! The information contained on this site is complete to the best of our knowledge and ability. While we will strive to update our website as often as we can, we are not responsible for any inadvertent inaccuracies, errors, typos or omissions. If you believe that there is an error on our site or you have any questions regarding our products, please contact us. We value your business and want to hear from you. © Perl Mortgage, Inc. 2017, All rights are reserved.